To surprise a loved one, not necessarily give expensive gifts. Make original articles of sweets with their hands, and you will receive in response only to thank! We are looking forward to the onset of the holidays, andchildren and adults are in anticipation, because they are waiting for surprises and gifts. Now few people are surprised by their gifts, because we usually buy all the stores and they are very easy to predict. If you really want to surprise your loved one, make a gift with their own hands - namely, the crafts made of sweets, and it will be delicious and original! From chocolates with your own hands, you can make a wide variety of handicrafts, among which deserve special attention bouquets, because they most often presented. 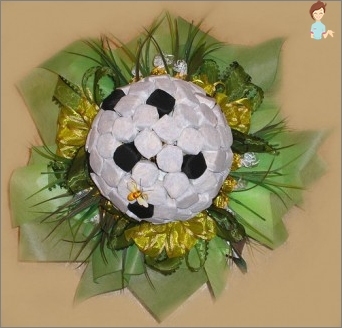 Bouquet of sweets - a perfect sweet gift,but presented them to their friends and relatives quite often. Take some time to this exciting venture, you will certainly get a real masterpiece of art. If you are a beginner, you'd better lookmaster class from the professionals, repeating their actions, you will have a beautiful bouquet. Give it absolutely for any occasion, or even for no reason, just to cheer up a loved one. By creating a unique composition, can be used not just chocolate candy, and candy, for example, it is perfect for a flower core. This winter and spring can be made from a compositionany sweets, because as the foundation will use the corrugated paper. 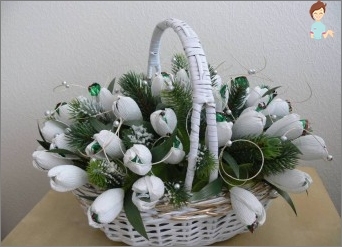 Bouquet of snowdrops, made with his own hands, will become not only a gift but also a decoration festive table. It can give 8 March mom, grandmother or sister. So, in preparation for the holiday studying a master class on creating this magnificent bouquet. For the manufacture of snowdrops take smallround candy, good for this purpose use hazelnuts in chocolate. To attach a ponytail candy skewers, using hot glue. Free to fix the tail on a skewer with adhesive tape. Thereafter, corrugated paper cutstrip width 2 cm, length - 10. It will be our petals of flowers. These stripes should be in the middle of twist 180 degrees, then bend the line of torsion. Two sides of the strips overlap each other and give them bulge, slightly stretching the paper with your fingers. One flower is composed from three doublepetals. To make snowdrop, fasten around a candy three petals, fixing them with thread. Below the flower skewers pulls around the green paper, it will stem snowdrop. Our composition except snowdrops, will be even with the other elements. When the flowers are ready, proceed to spruce twigs. They also carefully fasten to toothpicks using hot melt glue. Take the green ribbon aspidistra, cut it intosmall pieces, it will be the leaves, they also fix the tape around a toothpick. To give a festive composition between candy space is better to fill "a pound" of organza squares, which are also the glue to the toothpick. When all the constituent elements of ouroriginal compositions are ready, proceed to the preparation of the most baskets. Inside the basket put the foam of a suitable size, and that it could not be seen through the basket, wrap around a piece of organza. On top of the foam should be closed sisal. Let's start assembling the composition: First spread the fungi across the entire surface of the basket, inserting them into the foam, then stick the snowdrops, alternating them with the leaves of the aspidistra. Throughout the perimeter of the basket we decorate it with spruce branches. The closing moment of the master class crafts fromCandy is the decorative design of the basket handle: wrap it with a ribbon so that the hanging edges form a spiral. 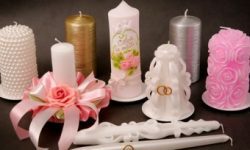 On the surface of the handle between the tape we glue silver beads, now the original bouquet can be given to the addressee! 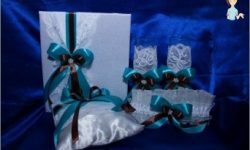 Having developed a fantasy, with a great desire, usingCandy wrappers or sweets themselves, you can create such unusual crafts that you yourself will be pleasantly surprised by their work. 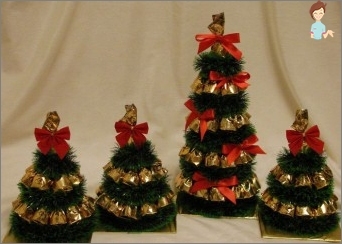 A sweet Christmas tree will decorate the interior of your home, creating a New Year atmosphere in your house. From paper we make a cone - the basis forMandatory attribute of the New Year. Then take the tinsel green, wrap it around the cone, cut it, it will be the bottom row of the Christmas tree. This series should be fixed by attaching tinsel to the paper with hot glue. The next series will consist of sweets, you needTake sweets of round or cone-shaped bright colors, but not green. To attach the candies to the cone of the Christmas tree, we use two-sided adhesive tape. Then again goes tinsel, so we alternate the ranks until we reach the top. The top is decorated with a snowflake, you can attach a beautiful candy to it. To make the article of festivity on top of itCan be decorated with beads. There is another idea of ​​creating a Christmas tree: instead of a cone made of cardboard, you can use a bottle of champagne, of course, better filled with sparkling drink! How can you please the men? 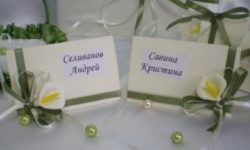 Not only lovely women can be originalCongratulations on the holiday, because there are unusual ideas for creating hand-made articles for men. With the approach of February 23, it is worth considering what we will congratulate our beloved men. If you want to surprise your chosen one,Make for him a car of sweets. Such a piece for a man from sweets does not require a lot of financial costs, but here's the time and effort to spend on it will have to. To understand how to make a car, it is worth to look at the master class. To begin with, you need to make a car out ofCardboard, and then it's beautifully decorated with sweets. With these sweets for a man except for a machine, you can also make such hand-made articles as a beer glass, a boat, a soccer ball. Polystyrene in the form of a ball. To maximize the ball was like a real football player's inventory, try to accurately convey the drawing on it. Such a gift is sure to please your athlete, because you have invested in it a piece of your soul. If you want to give a gift in the hot season, experts recommend doing handmade candy wrappers. So your composition does not melt with heat! Transform original ideas into reality and do not stop at the result, because it's very useful to be creative!